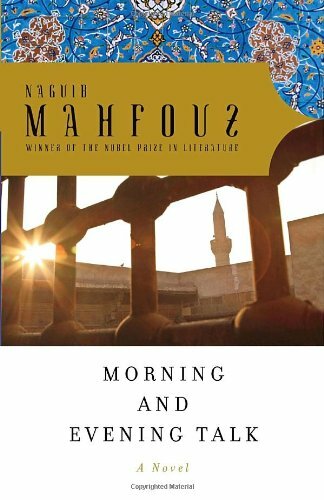 9781909942776 | Gingko Library, July 15, 2016, cover price $40.00 | About this edition: Naguib Mahfouz is one of the most important writers in contemporary Arabic literature. A psychological study of the first order with a subtly Freudian flavor, The Mirage is the autobiographical account of Kamil Ruâba, a tortured soul who finds himself struggling unduly to cope with lifeâs challenges. The internal torment and angst that dog him throughout his life and the tragic, ironic turns of events that overtake him as a young man are, to a great extent, the outworkings of his faulty upbringing. At the same time, they work together to drive home the novelâs underlying theme: the illusory, undependable nature of the world in which we live and the call to seek, beyond the outward and the ephemeral, that which is inward and enduring. The narrative, full of pathos, draws the reader unwittingly into a vicarious experience of Kamilâs agonies and ecstasies. As such, it is a specimen of Mahfouzâs prose at its finest. 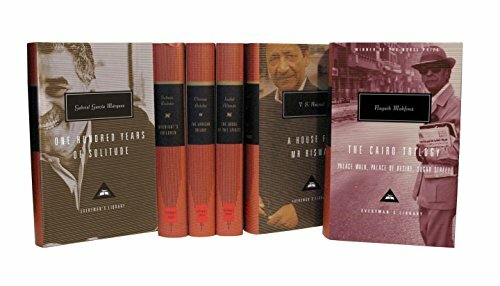 9789774162657, titled "The Mirage: A Modern Arabic Novel" | Amer Univ in Cairo Pr, August 1, 2009, cover price $22.95 | About this edition: A psychological study of the first order with a subtly Freudian flavor, The Mirage is the autobiographical account of Kamil Ruâba, a tortured soul who finds himself struggling unduly to cope with lifeâs challenges. 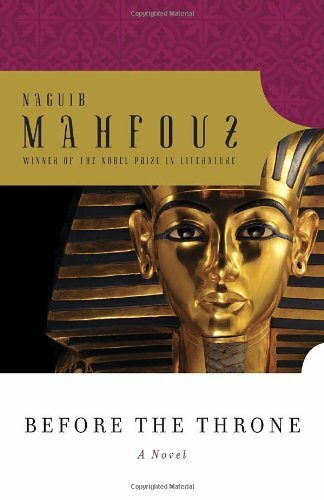 9780307742582 | Reprint edition (Anchor Books, February 14, 2012), cover price $15.95 | About this edition: A stunning example of Nobel Prize-winning Egyptian author Naguib Mahfouzâs psychological portraiture, The Mirage is the story of an intense young man who has been so dominated by his mother that her death sets him dangerously adrift in a world he cannot manage alone. 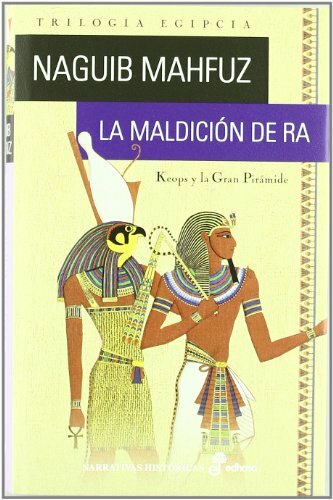 9780307742568 | Reprint edition (Anchor Books, July 3, 2012), cover price $14.95 | About this edition: Nearly sixty of Egyptâs past leadersâfrom the time of the Pharoahs to the twentieth centuryâare summoned to judgment in the Court of Osiris in the Afterlife, in this extraordinary novel by Nobel Prizeâwinning author Naguib Mahfouz. 9789774165030, titled "Naguib Mahfouz Centennial Library: Celebrating One Hundred Years of Egypt's Nobel Laureate" | Amer Univ in Cairo Pr, December 15, 2011, cover price $600.00 | About this edition: To celebrate the centenary of the birth of the great Egyptian writer and Nobel laureate Naguib Mahfouz, the AUC Press, which has been publishing English translations of Mahfouz's work since 1978, presents all his novels, three collections of short stories, and his autobiographical writings in a single library of 20 hardbound volumes, including all 42 works translated into English. 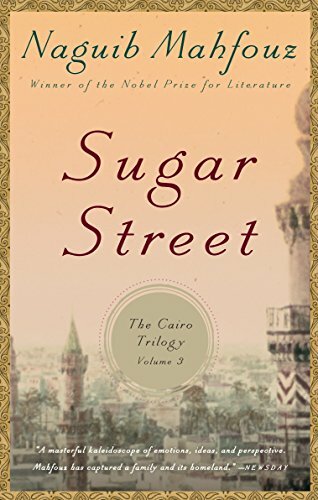 9780307947123 | Anchor Books, November 29, 2011, cover price $16.00 | About this edition: Sugar Street is the final novel in Nobel Prize-winner Naguib Mahfouz’s magnificent Cairo Trilogy, an epic family saga of colonial Egypt that is considered his masterwork. The completion of Khan al-Khalili in 1945 marked a turning point in Naguib Mahfouzâs career. Departing from the traditional themes drawn from Egyptian antiquity that characterize the authorâs earlier works, Khan al-Khalili reflects instead a deep concern with the lives and problems of contemporary Egyptians.The time is 1942, the Second World War is at its height, and the Africa Campaign is raging along the northern coast of Egypt as far as El Alamein. Against this backdrop of international upheaval, the novel tells the story of the Akifs, a middle-class family that has taken refuge in Cairoâs historic and bustling Khan al-Khalili neighborhood. 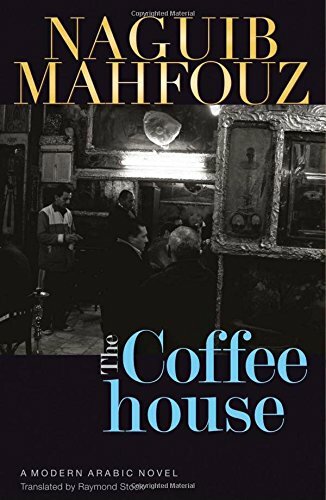 Believing that the German forces will never bomb such a famously religious part of the city, they seek safety among the crowded alleyways, busy cafÃ©s, and ancient mosques of the Khan, adjacent to the area where Mahfouz himself spent much of his young life. 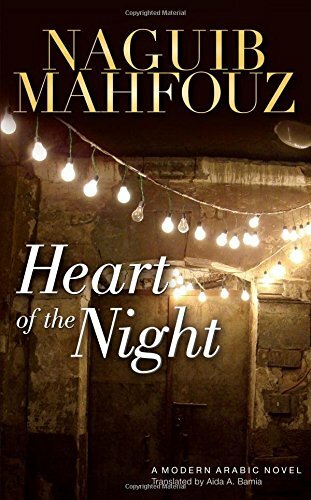 Through the eyes of Ahmad, the eldest Akif son and the novelâs central character, Mahfouz presents a richly textured vision of the Khan, drawing on his own memories to assemble a lively cast of characters whose world is framed by the sights, smells, and flavors of his childhood home. As Ahmad, a minor civil servant who has sacrificed both education and personal ambition in order to support his family, interacts with the people and traditions of Khan al-Khalili, a debate emerges that pits old against new, history against modernity, and faith against secularism. Addressing one of the fundamental questions of the modern era, Mahfouz asks whether, like the German bombs that threaten Khan al-Khalili daily, progress must necessarily be accompanied by the destruction of the past.Fans of Midaq Alley, The Beginning and the End, and The Cairo Trilogy will not want to miss this engaging and sensitive portrayal of a family at the crossroads of the old world and the new. 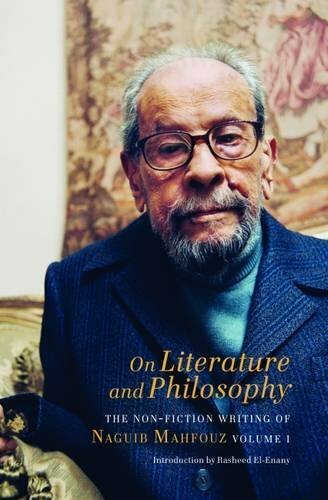 9789774161919 | Amer Univ in Cairo Pr, October 1, 2008, cover price $24.95 | About this edition: The completion of Khan al-Khalili in 1945 marked a turning point in Naguib Mahfouzâs career. 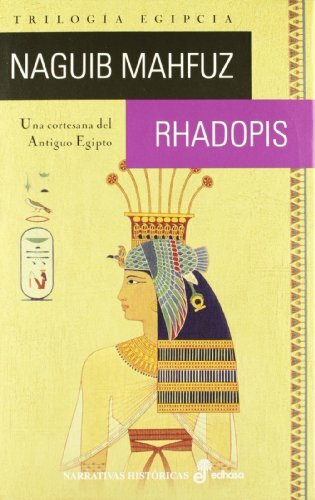 9788435062442 | Edhasa, September 1, 2011, cover price $50.95 | About this edition: Keops, en el apogeo de su poder, gobierna con mano fÃ©rrea el inmenso reino de Egipto. 9788435062435 | Edhasa, September 1, 2011, cover price $50.95 | About this edition: En La batalla de Tebas Naguib Mahfuz narra una apasionante historia en la que se cruzan la humillaciÃ³n del oprimido, la prepotencia del invasor, la sed de venganza, el anhelo de libertad y el amor apasionado. 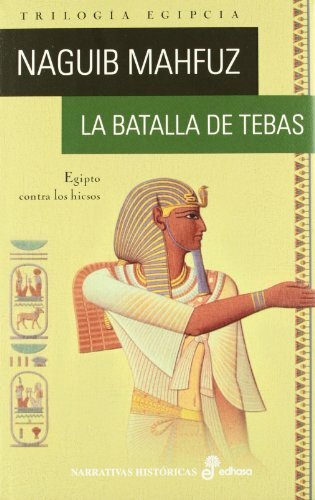 9788435062428 | Edhasa, September 1, 2011, cover price $50.95 | About this edition: En el sensual y embriagador Egipto de la Antigü,edad, el jovencÃ­simo faraÃ³n MernarÃ© II, reciÃ©n instalado en el poder junto a su hermana la reina Nitocris es subyugado fatalmente por el misterio del amor. 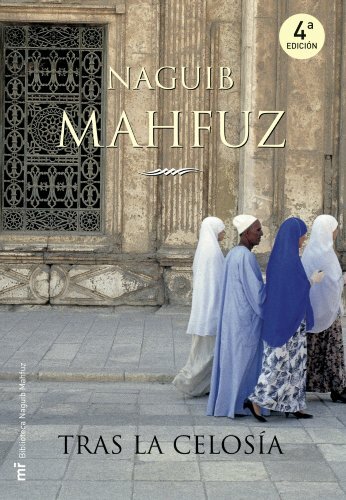 9789774164538 | Amer Univ in Cairo Pr, April 1, 2011, cover price $19.95 | About this edition: A classic Mahfouz story exploring themes of marriage across class lines, spirituality, and the harsh realities of a precarious life. 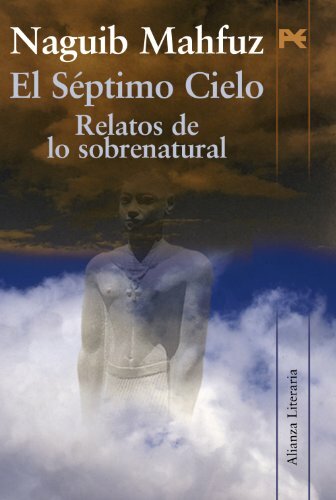 9789774163517 | Reprint edition (Amer Univ in Cairo Pr, February 1, 2011), cover price $19.95 | About this edition: A novel of loss and memory from the Egyptian Nobel laureate. 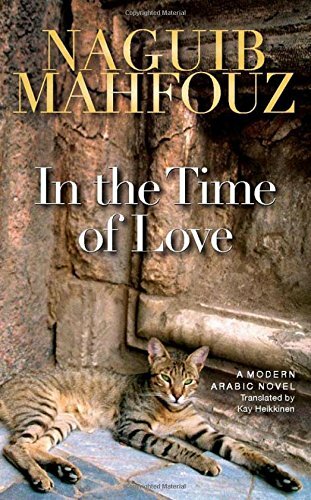 9789774163869, titled "In the Time of Love: A Modern Arabic Novel" | Amer Univ in Cairo Pr, November 15, 2010, cover price $19.95 | About this edition: Love who can count its varieties, measure its force, uncover the masks it wears, or predict how it binds and divides? 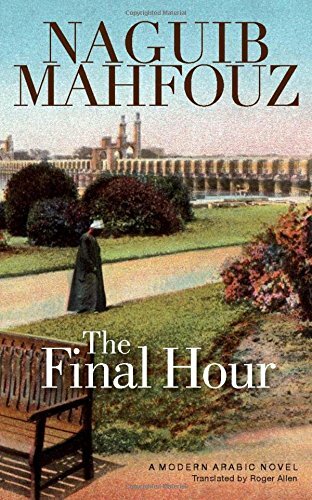 9789774163883, titled "The Final Hour: A Modern Arabic Novel" | Amer Univ in Cairo Pr, November 15, 2010, cover price $19.95 | About this edition: Hamid Burhan, a retired government employee, and his loyal wife Saniya have built themselves a home in the quiet southern suburb of Helwan, where they raise their son and two daughters, expecting life to remain as blessed as it was in the photograph of the happy family at a picnic in a Nileside park in the early 1930s. 9788420668710 | Alianza Editorial Sa, June 30, 2009, cover price $28.95 | About this edition: Un asesino se encuentra en el primer estadio de lo que el toma equivocadamente por el Paraiso. 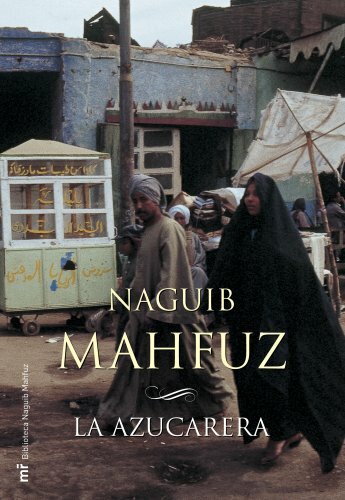 9780307455062 | Reprint edition (Anchor Books, March 10, 2009), cover price $13.95 | About this edition: This unusual epic from the Nobel Laureate Naguib Mahfouz portrays five generations of one sprawling family against the upheavals of two centuries of modern Egyptian history.